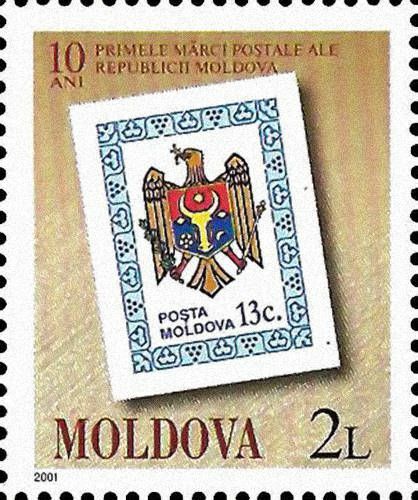 On 23 June 2001, the Post Office of Moldova (Poșta Moldovei) issued a series of postage stamps with the title 10th Anniversary of the First Stamps of the Republic of Moldova. The issue comprises three stamps, on a souvenir sheet, with associated cancellation (postmark) and first day cover (FDC). The designer was Vitalie Roşca. The printing was performed by Bundesdruckerei, Germany. 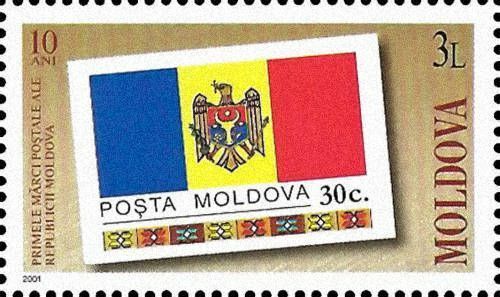 The first stamps of independent Moldova were issued in 1991. Read more.. 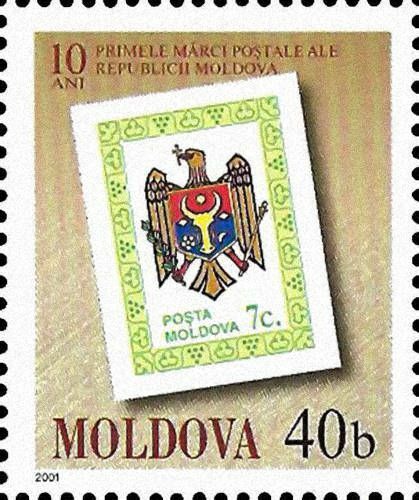 This article uses material from the Wikipedia article 'Postage_stamps_and_postal_history_of_Moldova', which is released under the Creative Commons Attribution-Share-Alike License 3.0.